The Festschrift honoring Carlo Pedretti, the great scholar of Leonardo da Vinci, has been published by Brill. 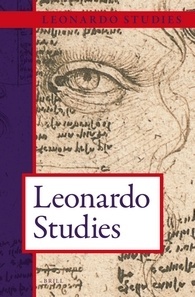 Fittingly, this marks the first volume of a new book series, Leonardo Studies. The co-editors seek articles of c. 10,000-15,000 words on any topic concerning Leonardo da Vinci, but particularly those that employ collaborative or cross-disciplinary work. We welcome new research on mechanics, architecture, studies of water or motion, and nature. Book-length manuscripts are also considered. Please send a proposal or your finished work to Prof. Constance Moffatt (artitalia@ca.rr.com) and to Dr. Sara Taglialagamba (saraart77@yahoo.com). Constance Moffatt teaches art and architectural history at Los Angeles Pierce College. She has published on Milanese history and Sforza history and art history. Her interests include the creation of propaganda imagery for patrons, the history of architecture, and women of the Sforza court. Previously she worked at the Getty Research Institute and in the field of numismatic fine arts. She studied history and art history at UCLA, and medieval history at the University of Notre Dame and the University of Florence. Sara Taglialagamba, Ph.D. (Scuola di Alti Studi, Siena, 2010) is a researcher affiliated with the Ècole Pratique des Hautes Etudes (Sorbonne) and Istituto Nazionale di Studi sul Rinascimento (Florence). She specializes in Leonardo da Vinci’s work on automations, clockworks, engineering devices and robotics, focusing on the central role of fountains and hydraulic devices. Her main publications include Beauty according to Leonardo (with Carlo Pedretti) and a series of handbooks on Leonardo and Nature, Painting, Architecture, Anatomy, and Engineering.